Cloud computing model to host hardware and software components like servers, storage, network or visualization software. 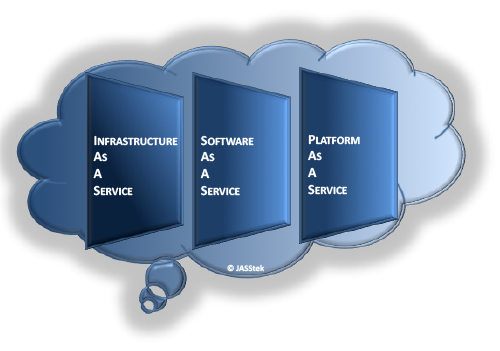 JASStek provides cloud services to support all implementations including Advance Analytics, Blockchain, Mobile apps, etc. JASStek has on prem and could hosting solutions for all your mobile apps, managed globally. JASStek’s fully outsourced model to manage your infrastructure in secure manner using our partnerships towards reducing your total cost of ownership, flexibility in scaling and access to enterprise grade resources. JASStek’s advanced analytics , Blockchain, Artificial intelligence platforms provided thru cloud models lowers the cost by avoiding upfront investment, upgrade bottlenecks, and simplified deployment. JASStek’s SAAS models are designed towards providing our customers access from multiple locations via internet, eliminate infrastructure related concerns, and are bundled with maintenance and service contracts. JASStek’s RAAS models ensures reduced impact by downtime, loss of critical data, and faster recovery. Contact today, for conversation with our Cloud Solutions Architect, to help you reinvent your business.